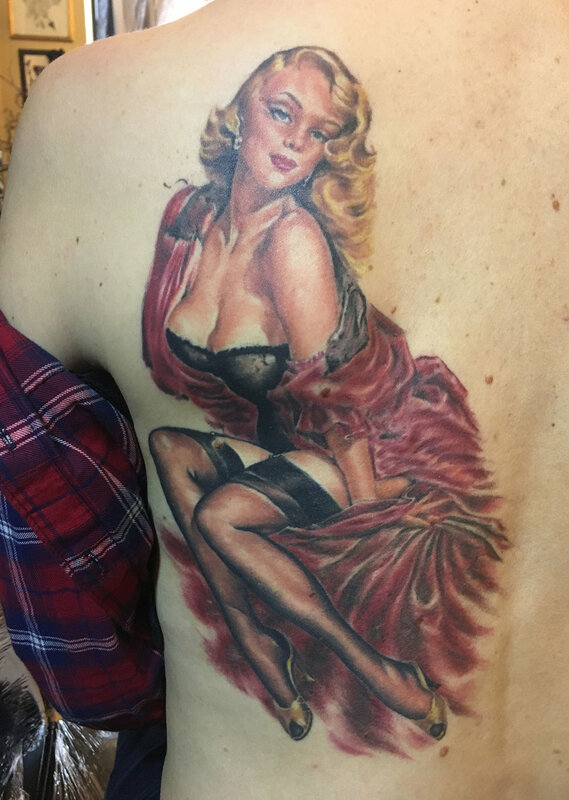 IMPORTANT PERSONAL NOTE: In these galleries there are a lot of older color tattoos that I have done throughout the years. 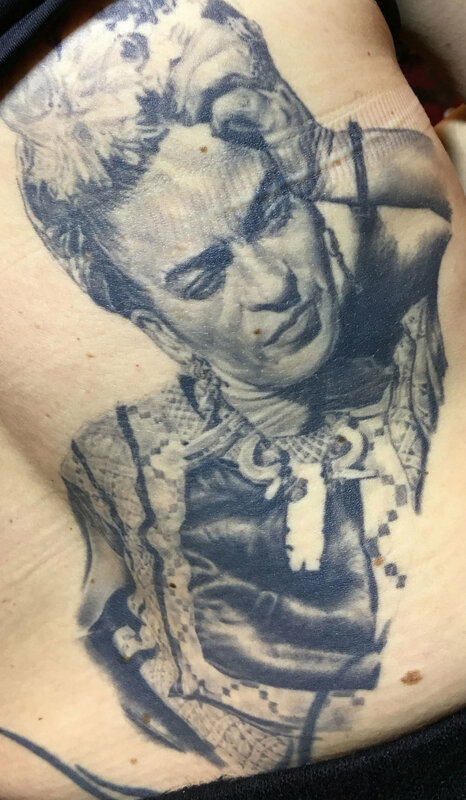 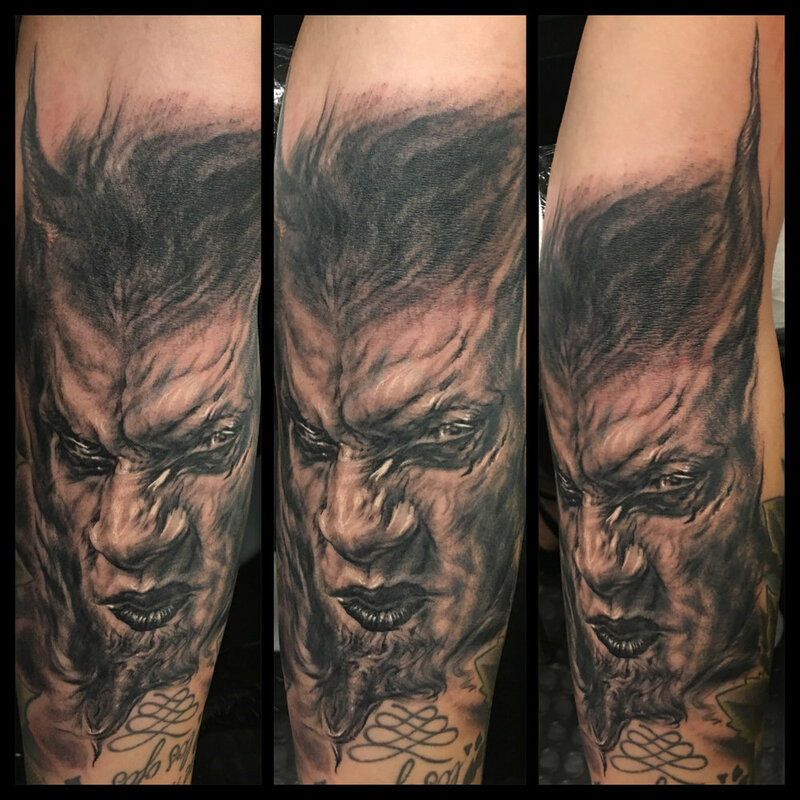 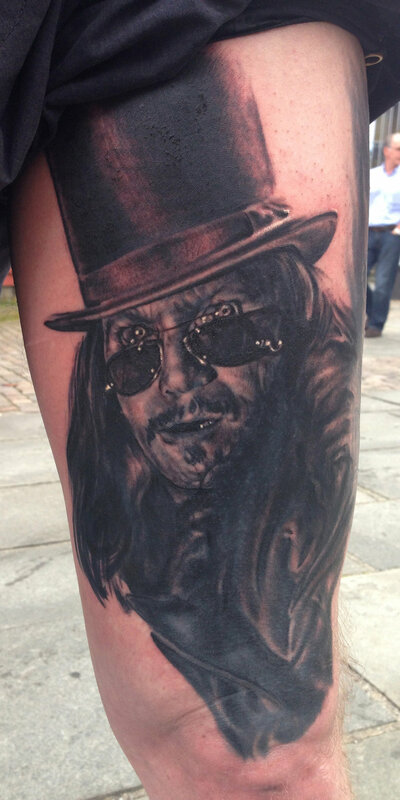 If there is anything that I can do to contribute to the development of tattooing as a whole, it is to offer the insights that I have gained through dedicating the last 20 years of my life to this incredible profession. 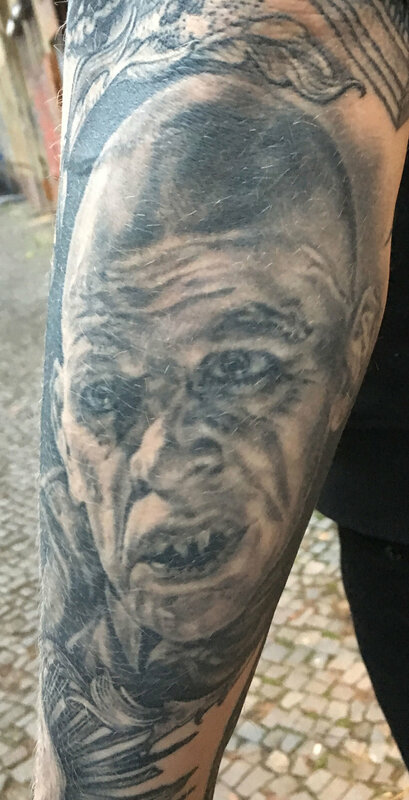 Not only through constantly evaluating my own work, but also from studying as many aged tattoos on other people as I possibly can. 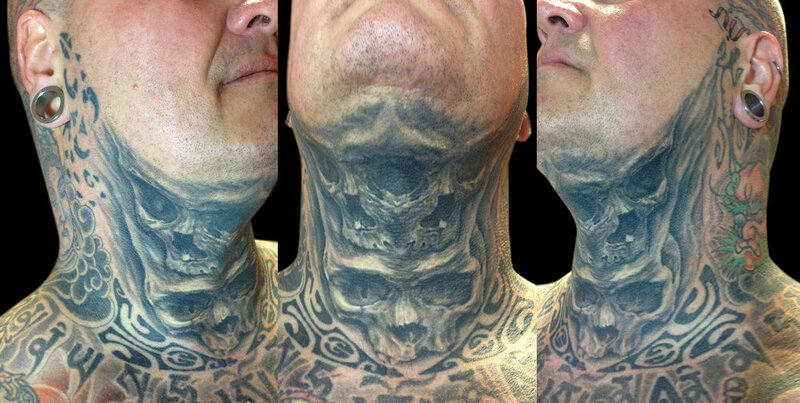 With the rapid development that tattooing is going through today, I feel that these observations are more relevant now than ever. 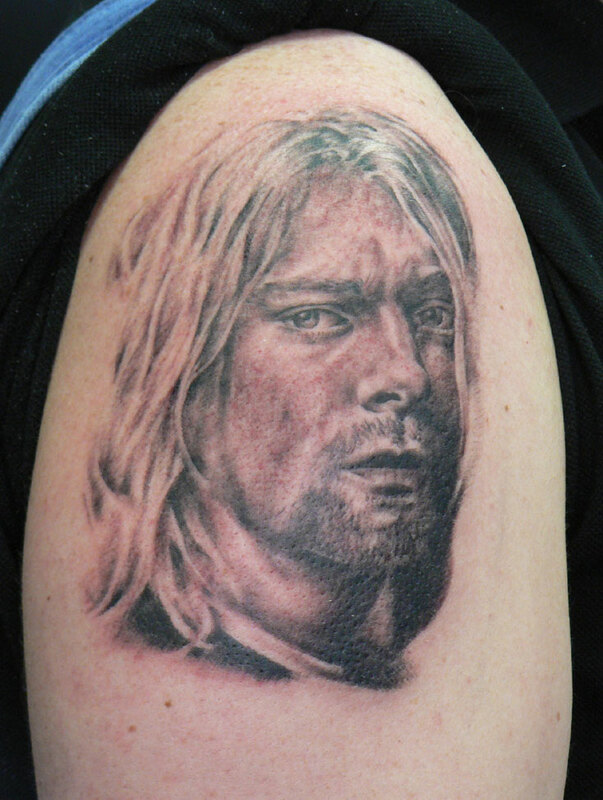 As a tattooer, I have always done my best to push my boundaries and grow as an artist. 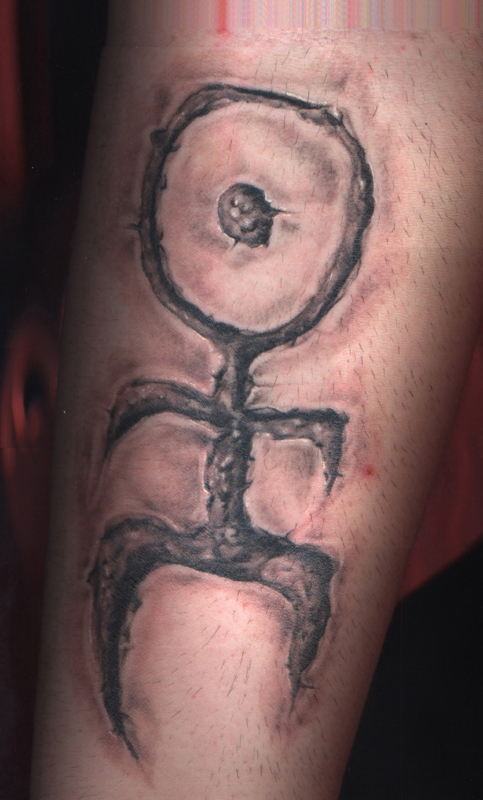 At first it was in the direction of seeing how realistic I could make things look in the tattoo medium. 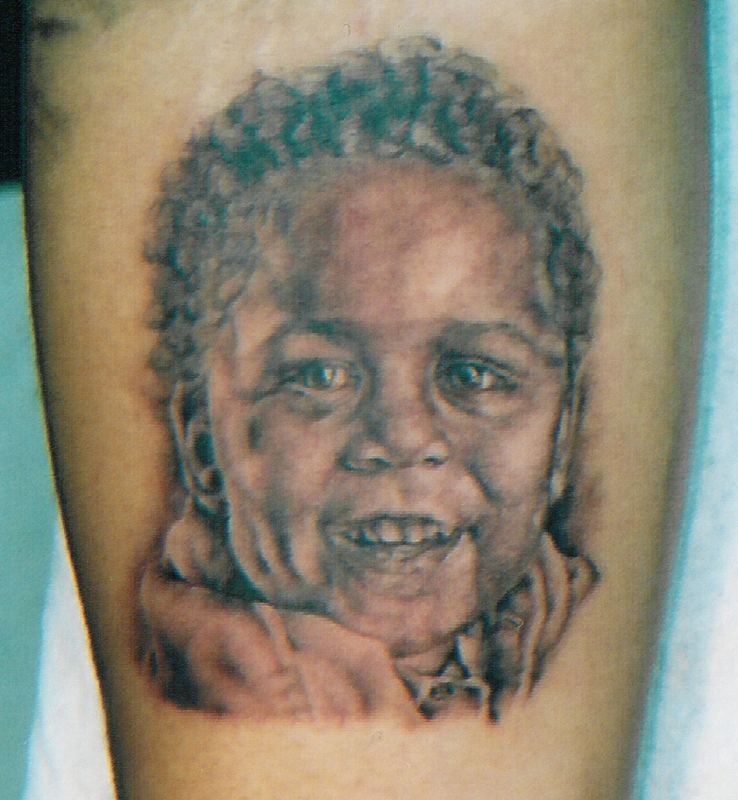 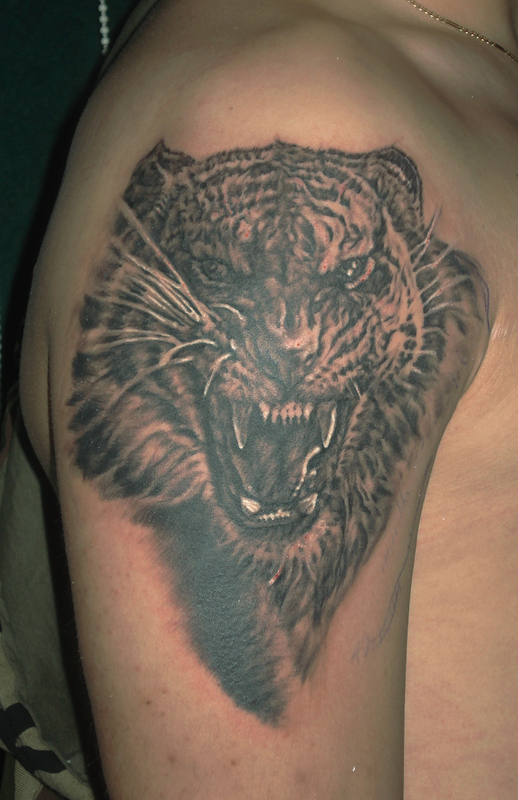 Whereas now, after much experience, it is more in the direction of what will make a successful Tattoo. 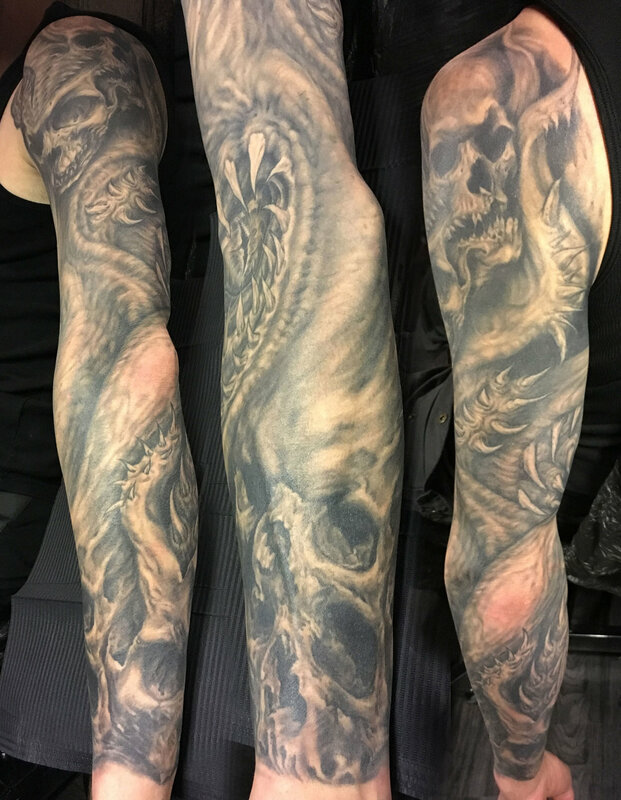 That being said, there are quite a few things that I have changed throughout the years, and will continue to do so in the interest of growth and further progression. 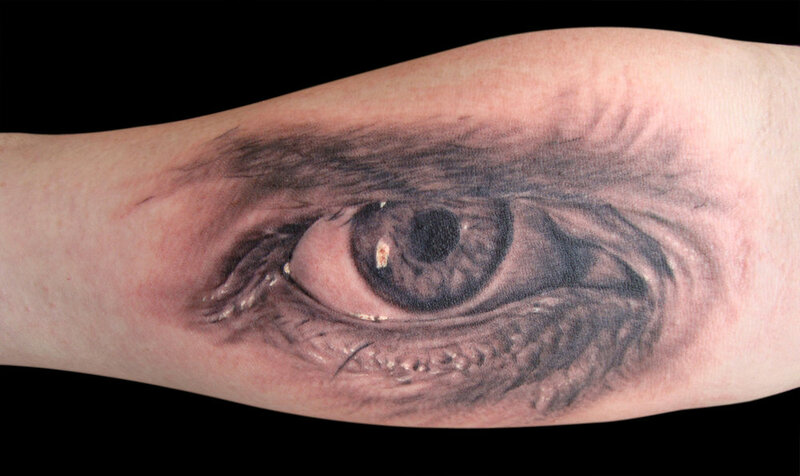 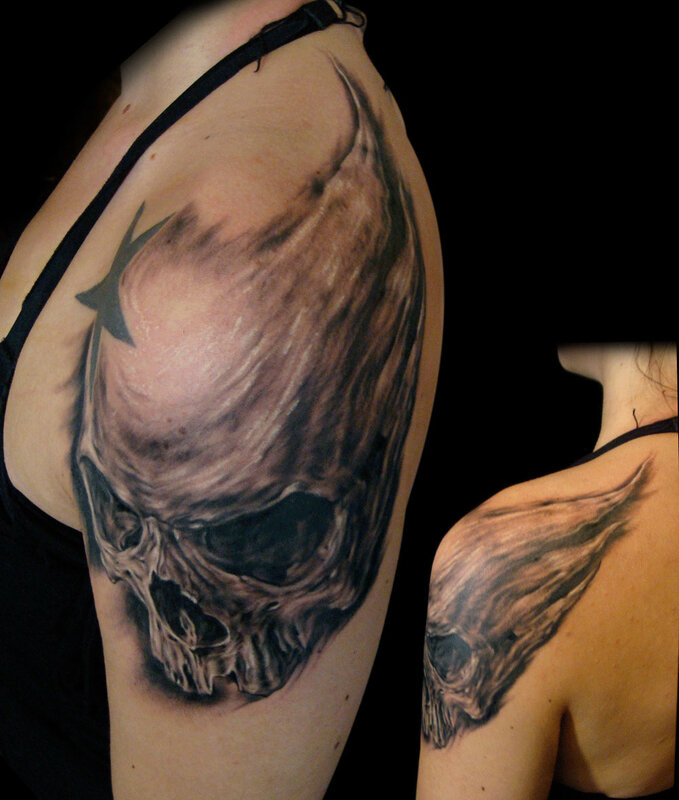 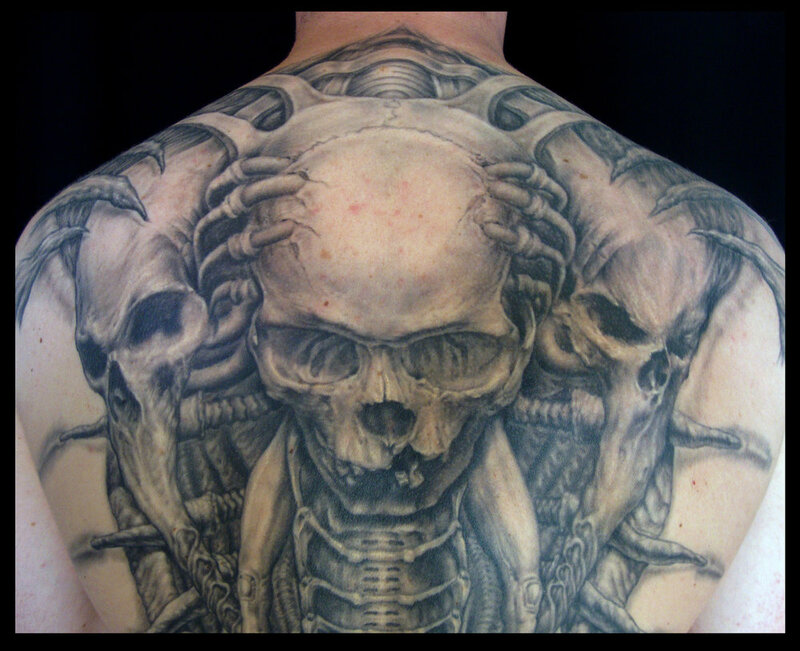 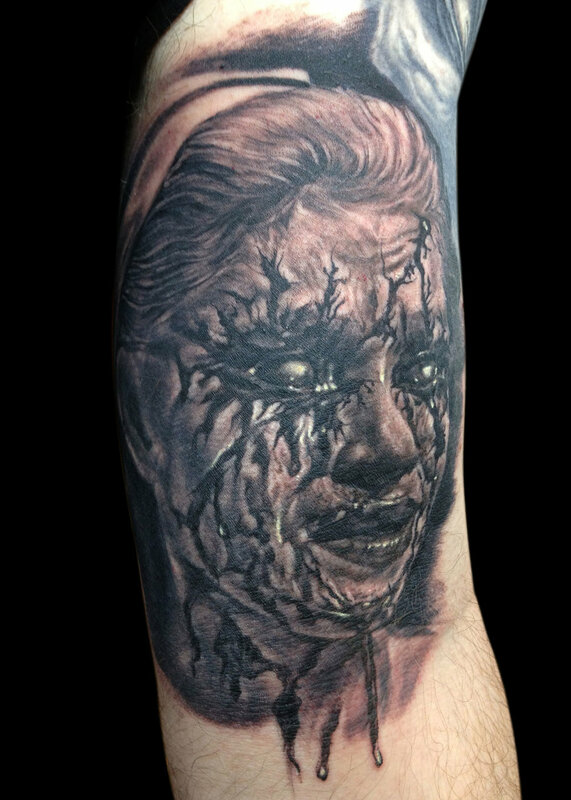 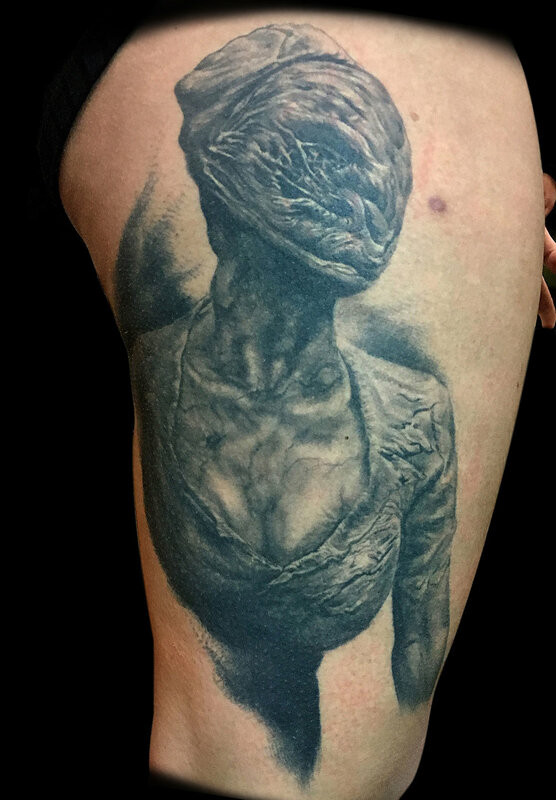 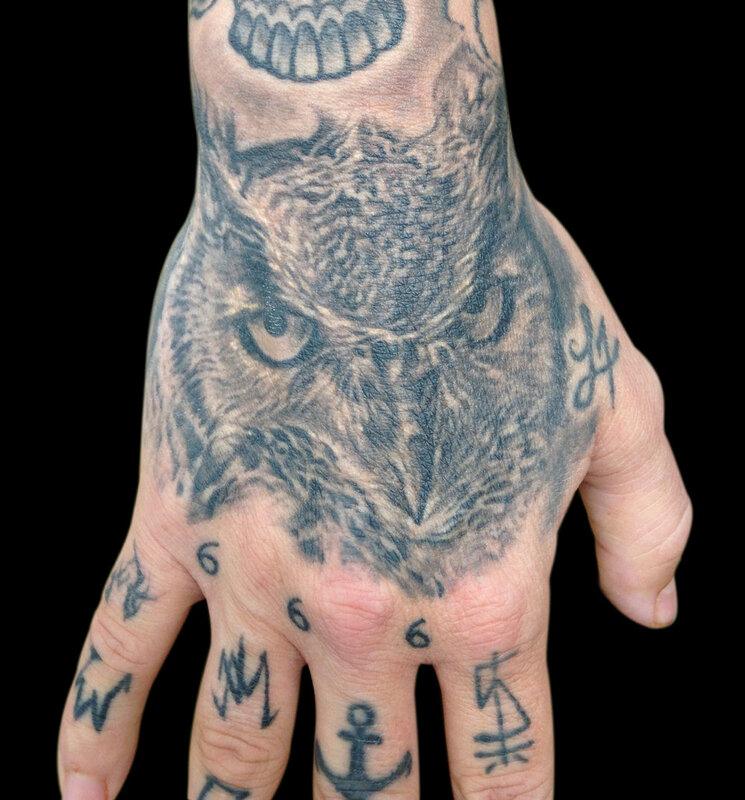 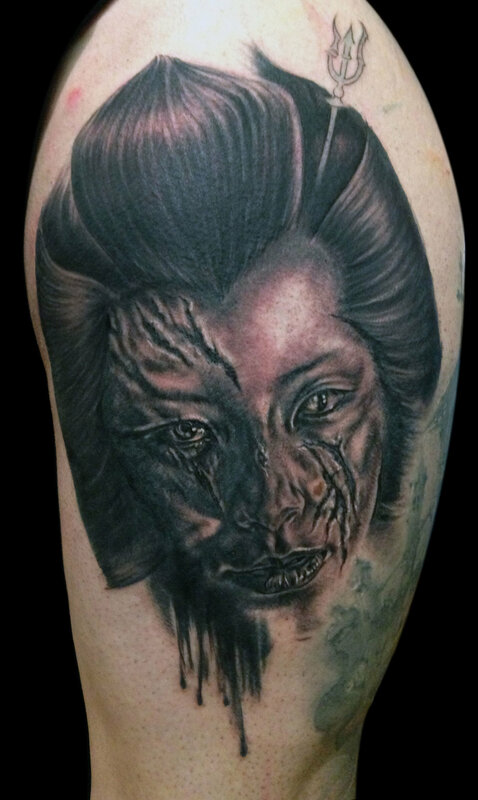 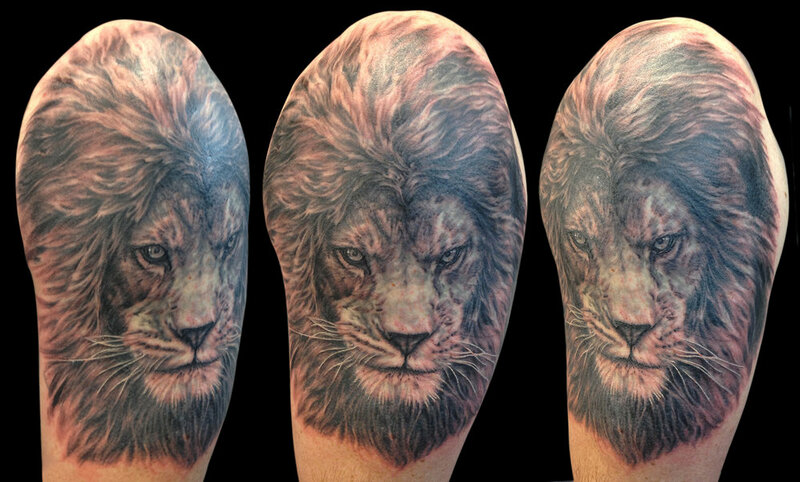 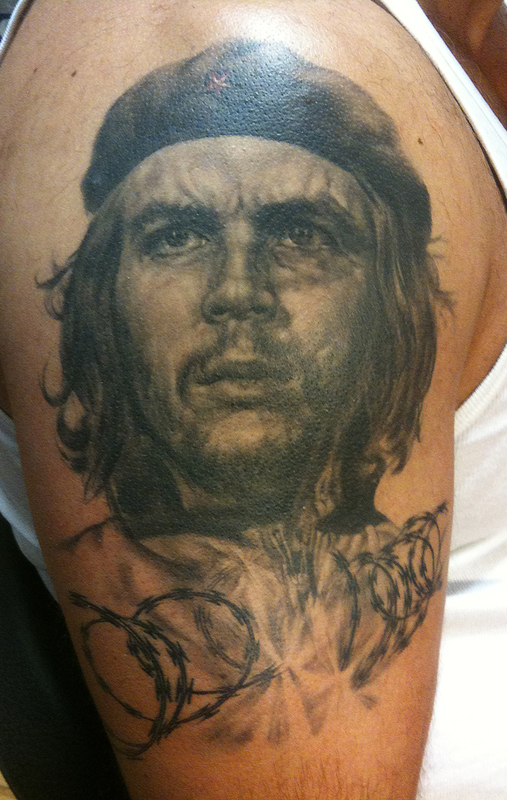 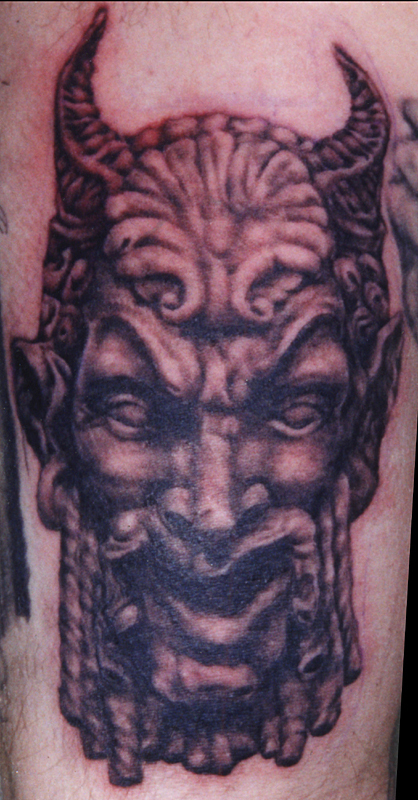 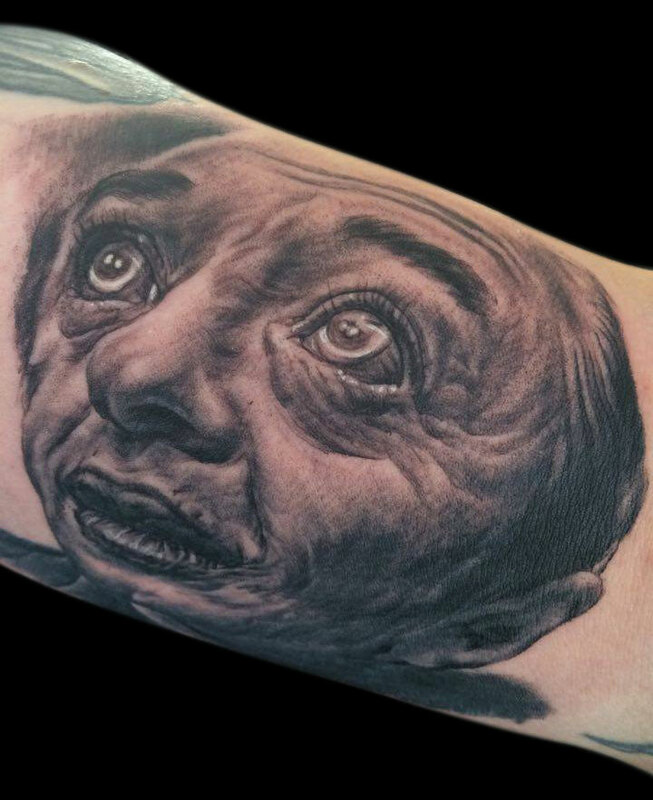 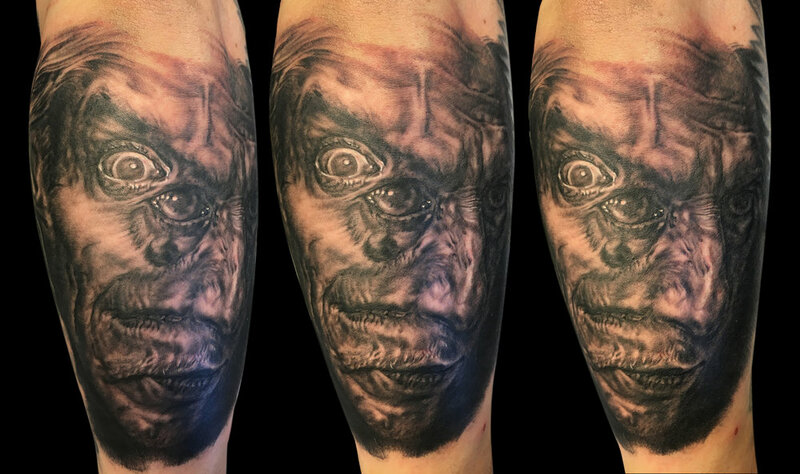 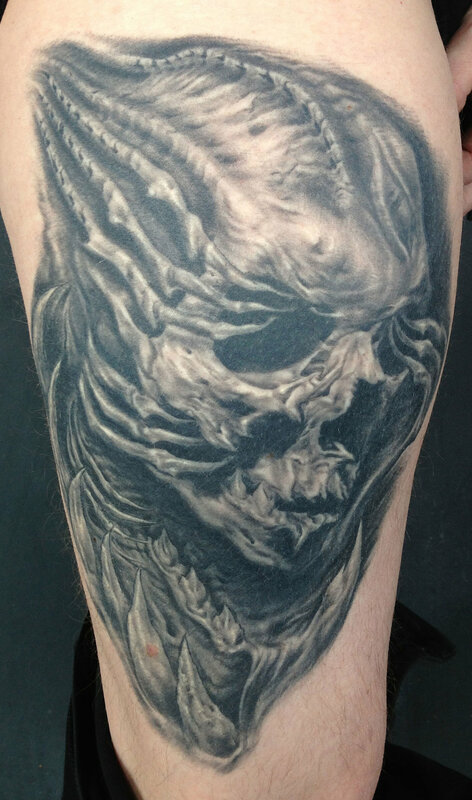 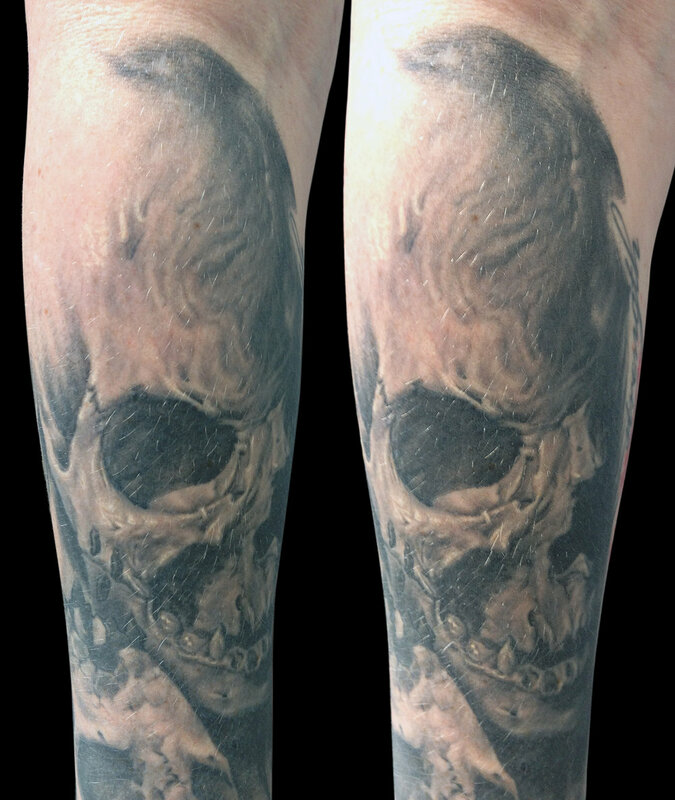 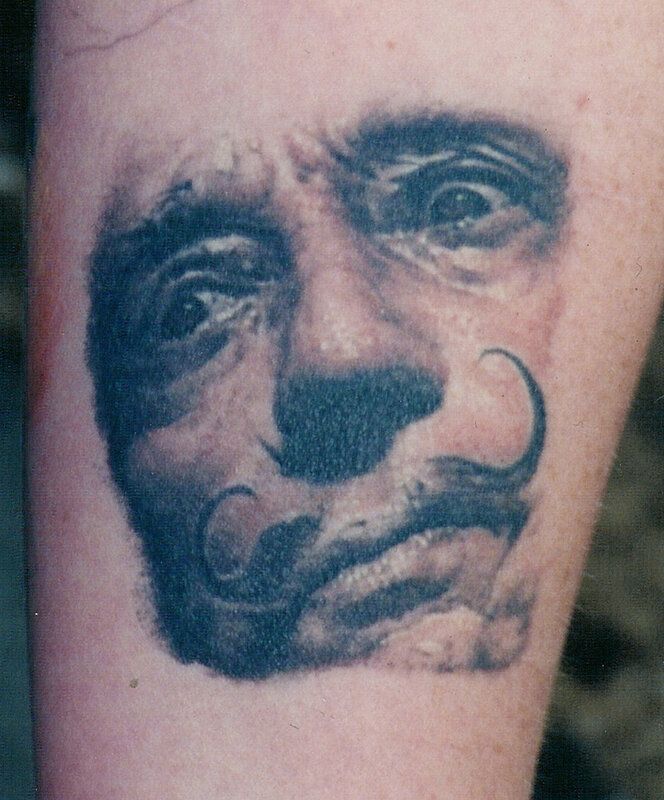 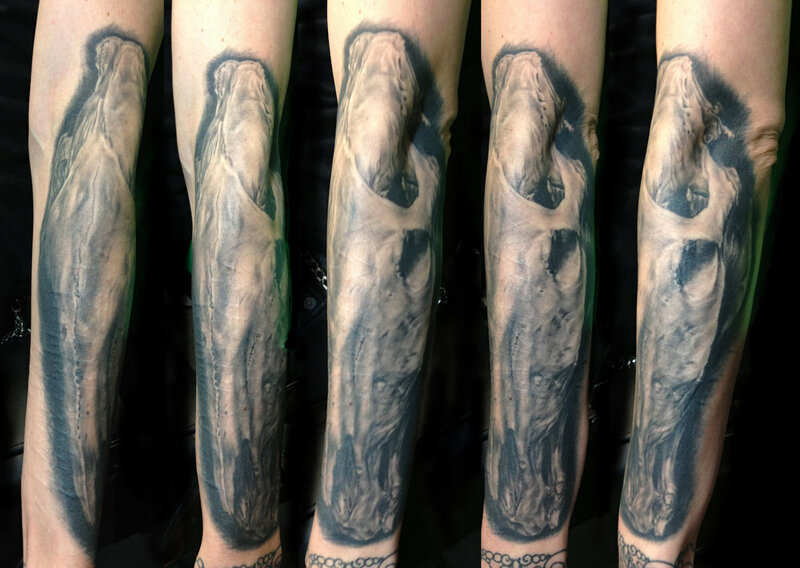 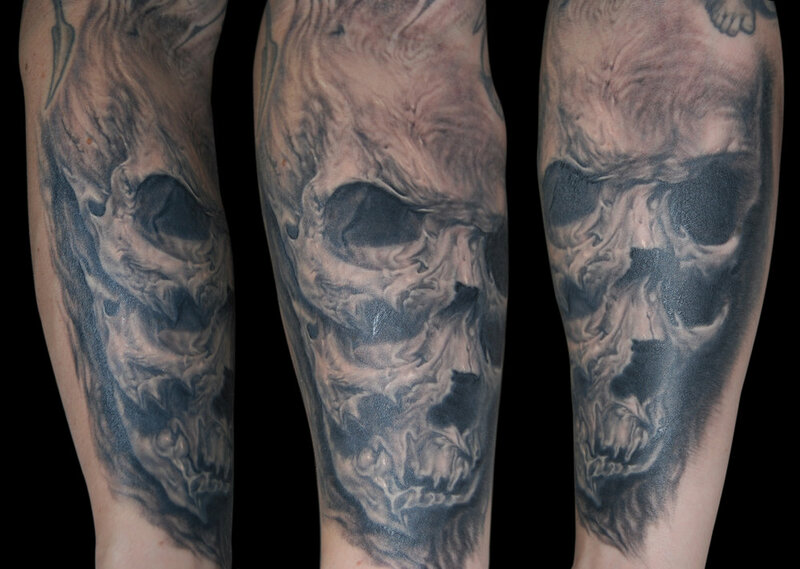 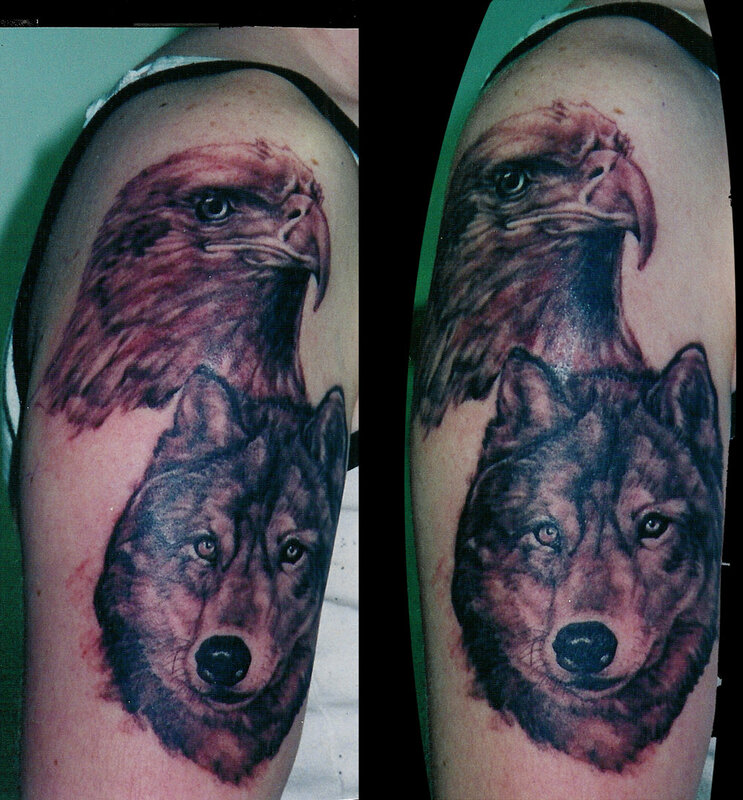 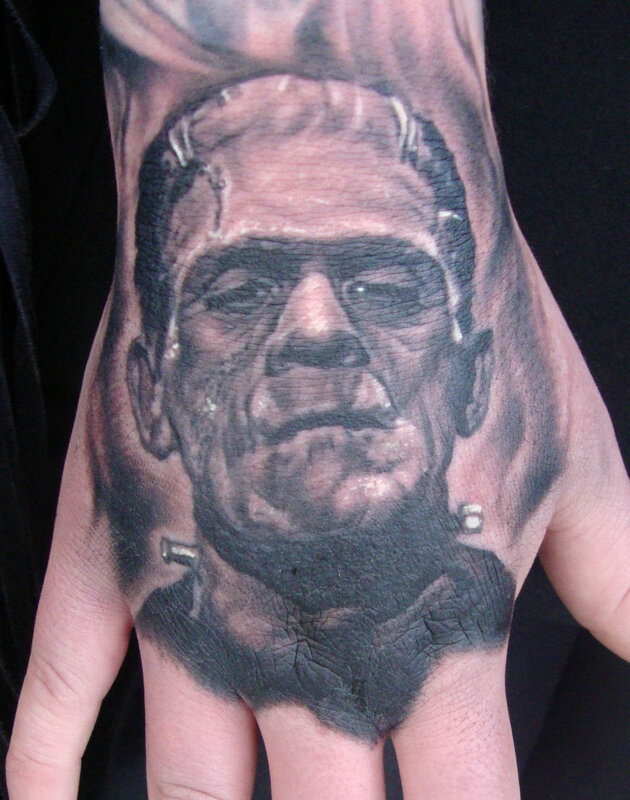 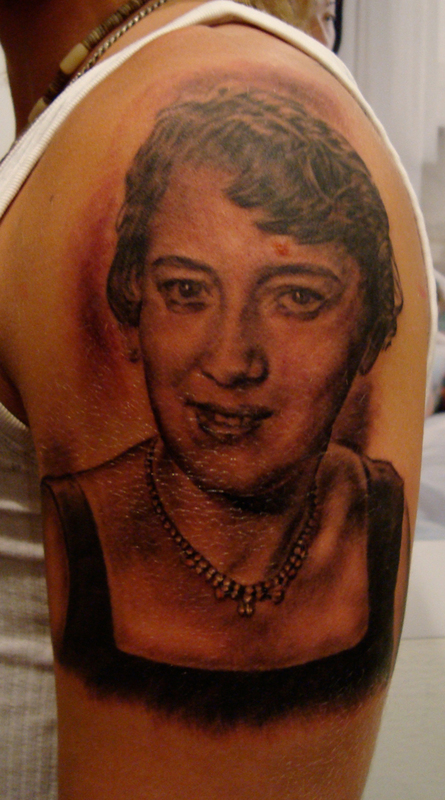 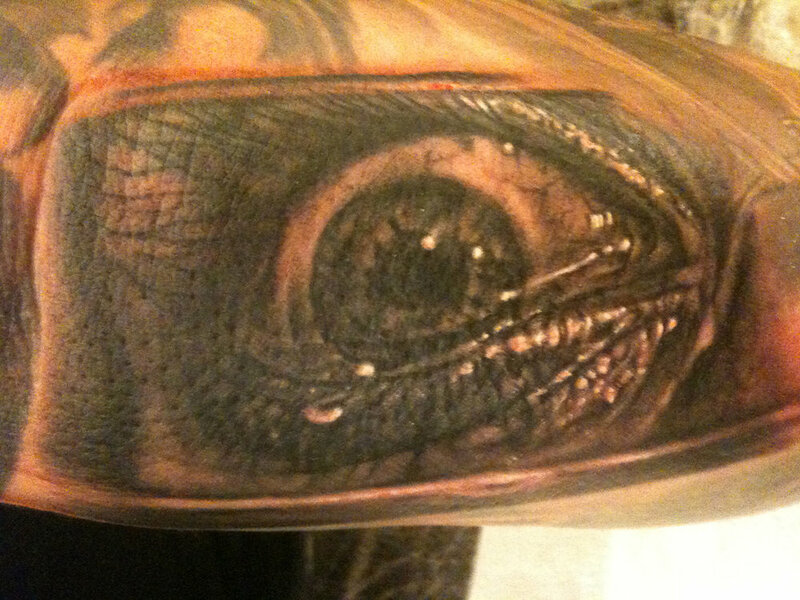 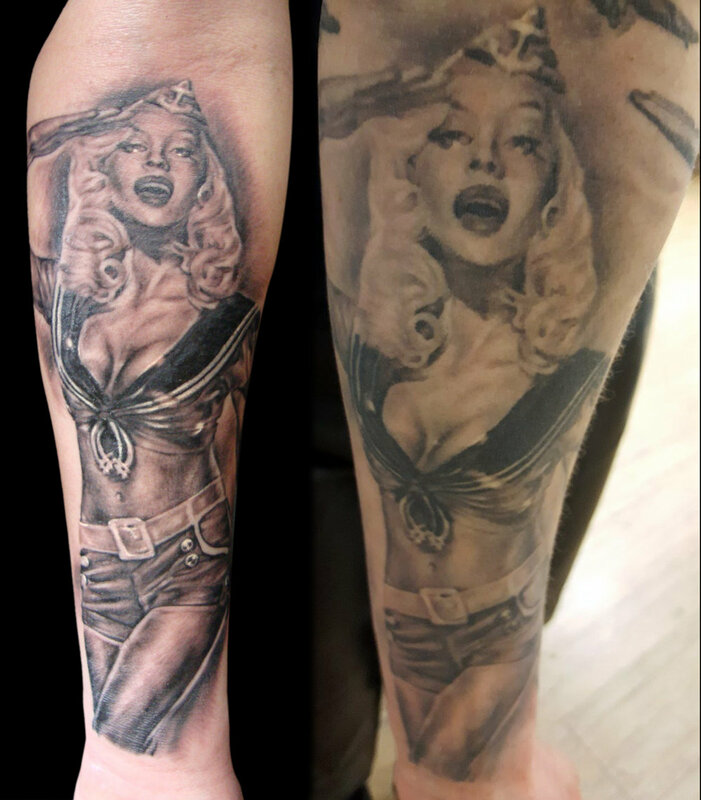 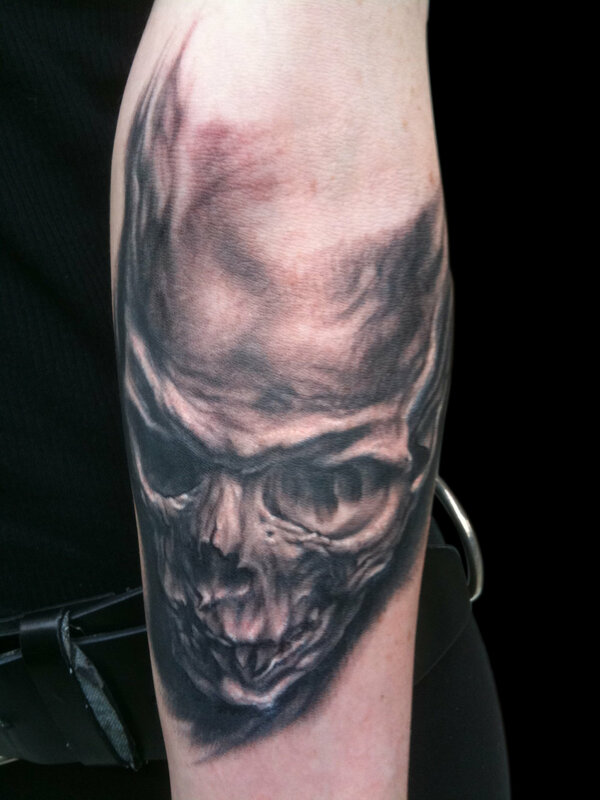 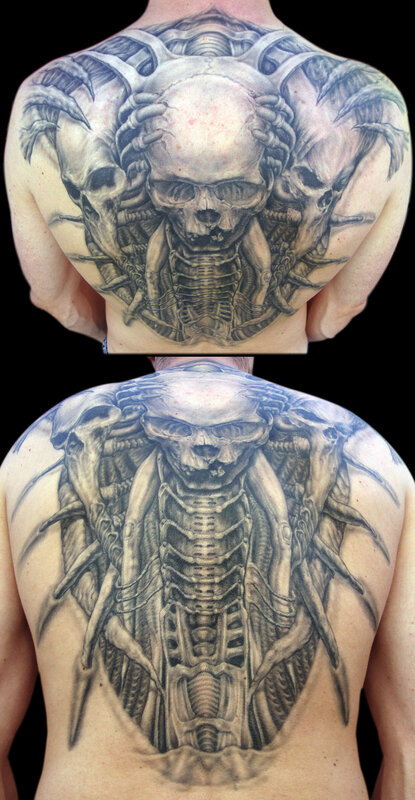 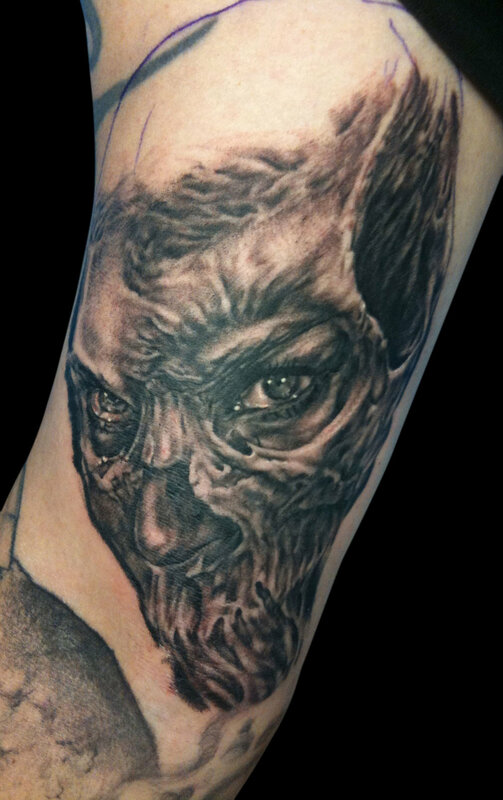 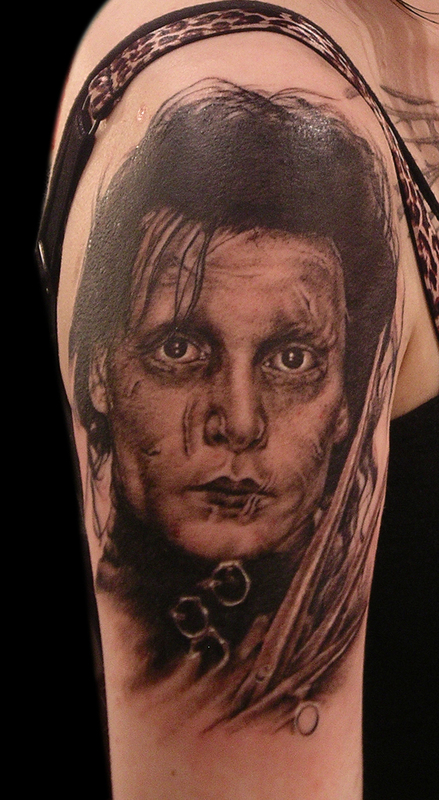 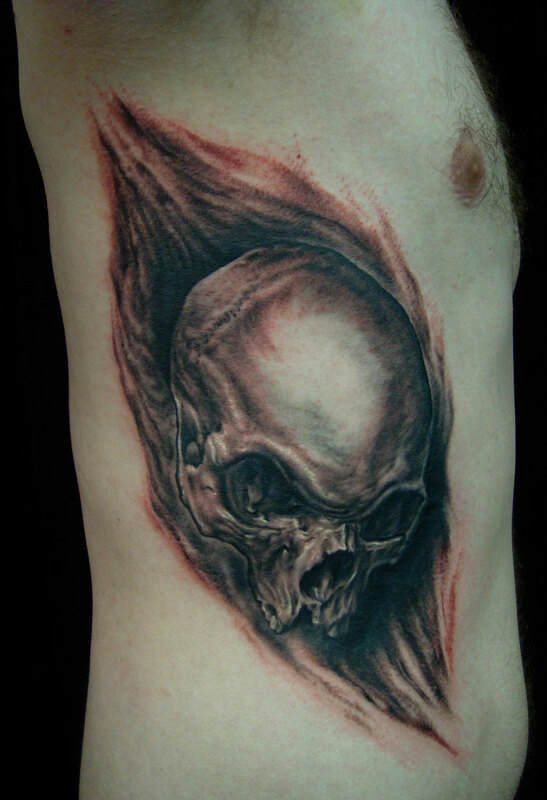 I have come to realize that black and grey tattoos are much more compatible with the realistic style that I tattoo in. 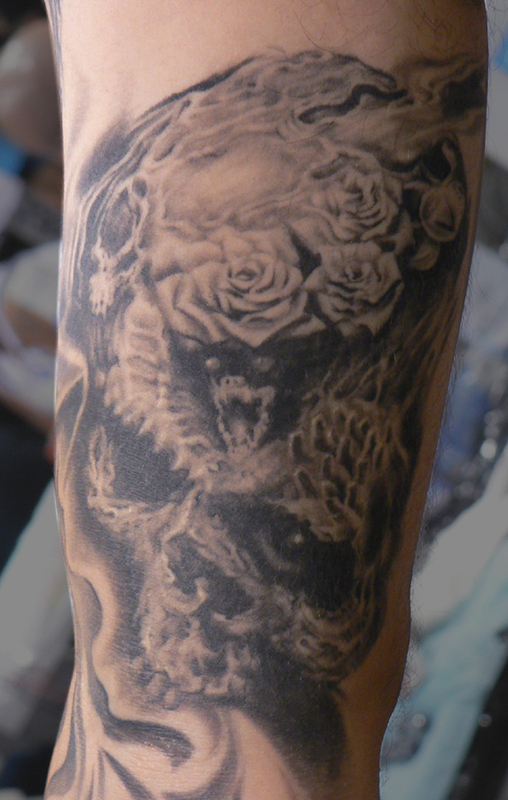 So most importantly, I use more black now, in ALL of my tattoos. 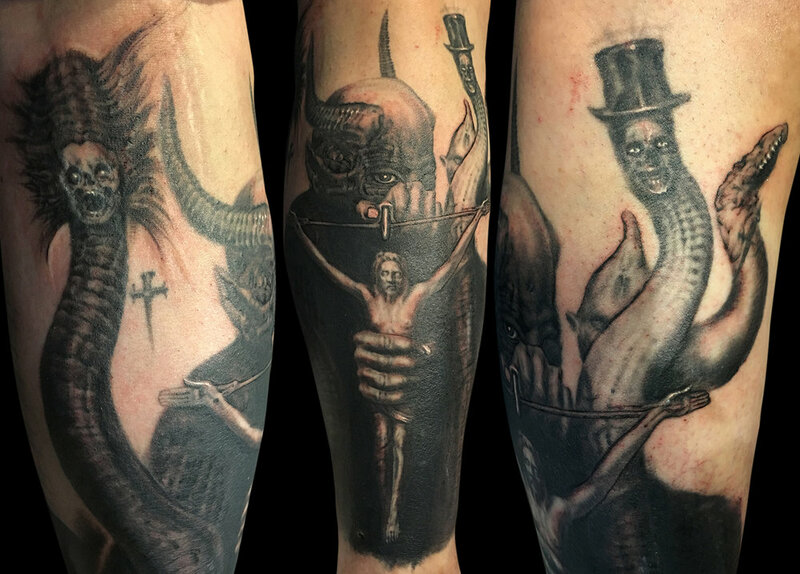 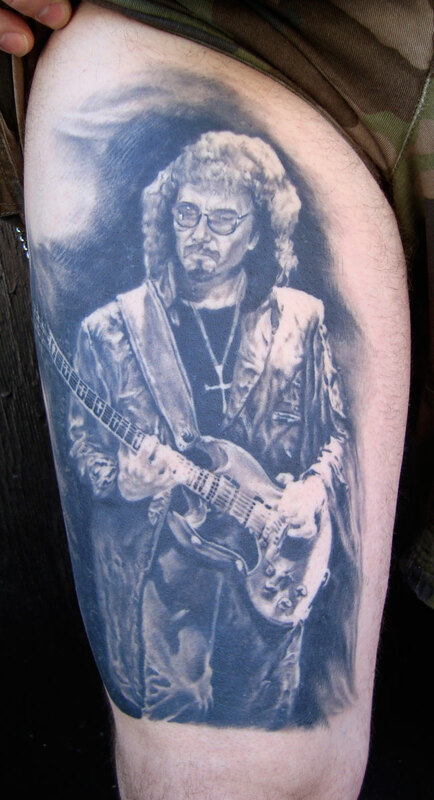 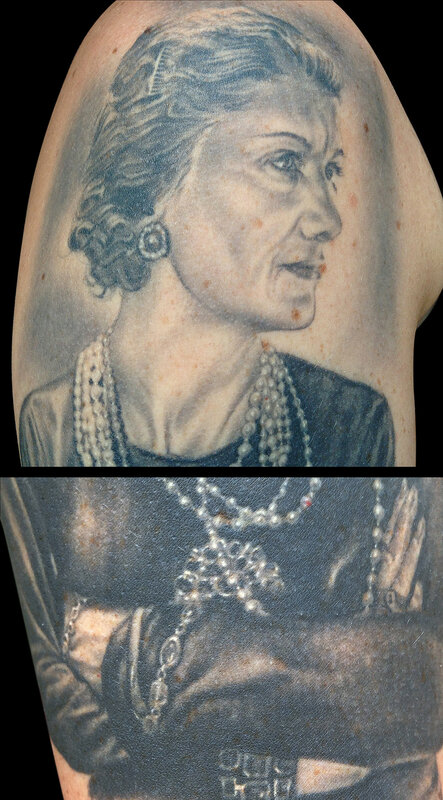 I hold strongly to the belief that over the years, a well executed black and grey tattoo will hold it's integrity. 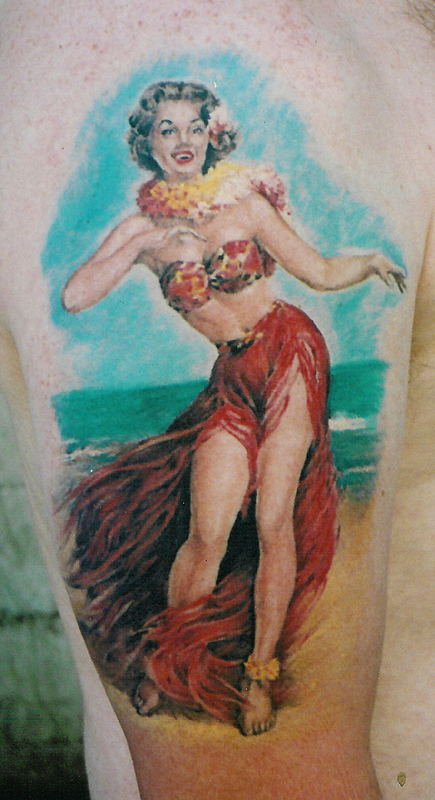 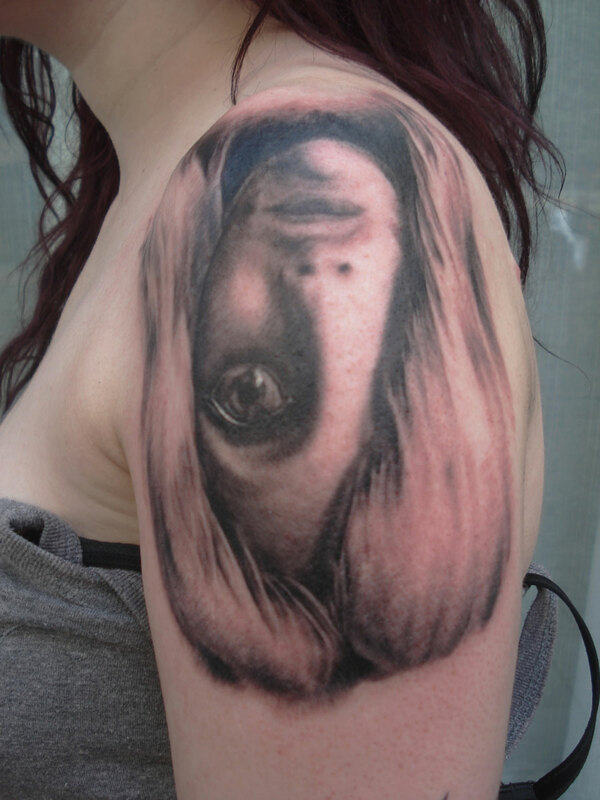 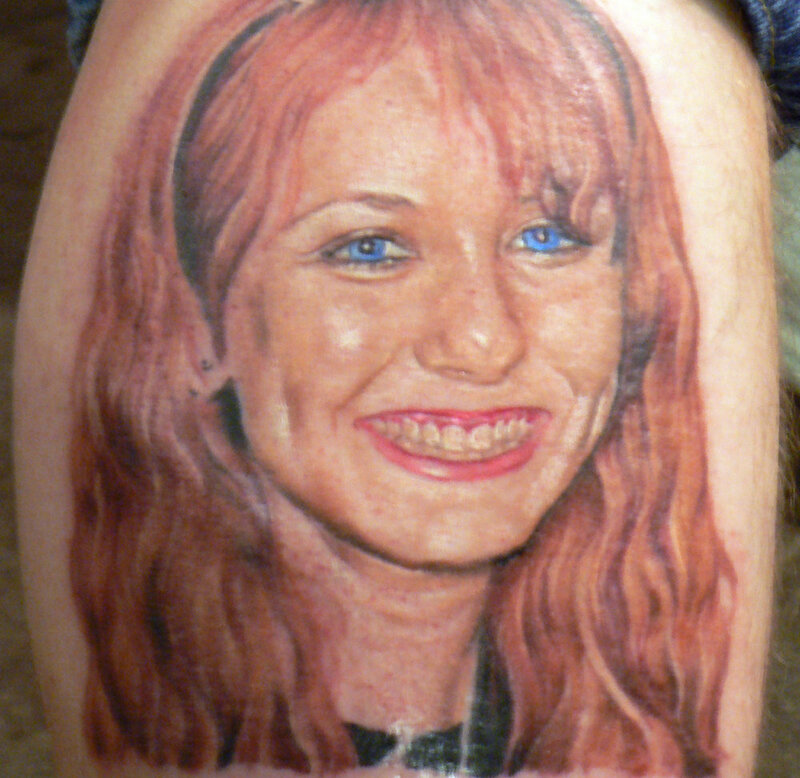 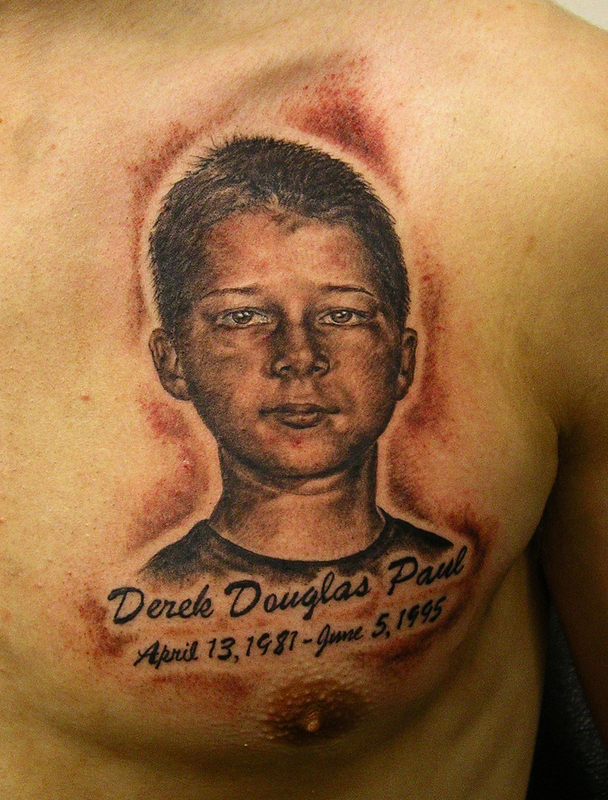 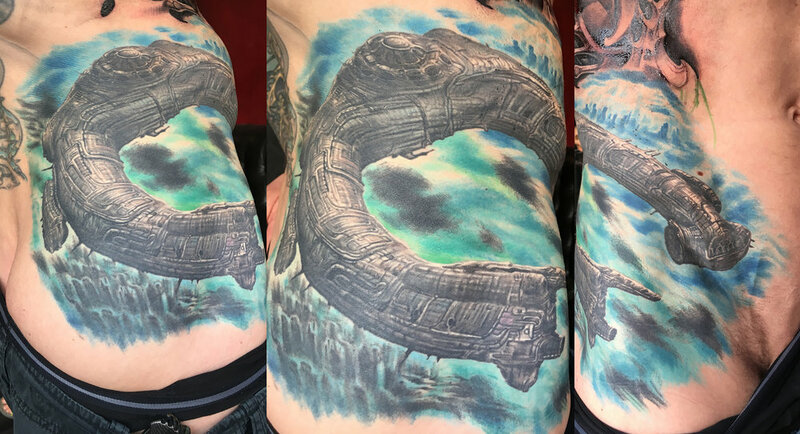 With a color realistic tattoo, it can be a gamble of how long it will last over time. 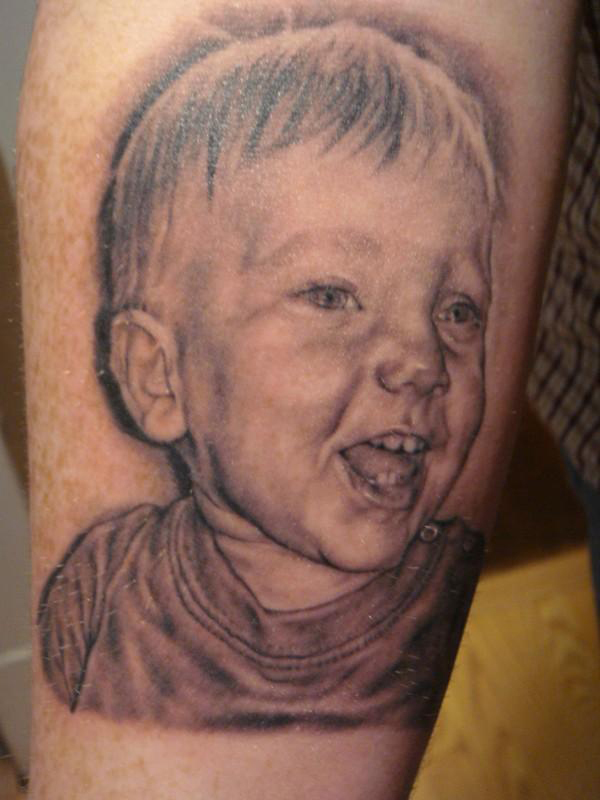 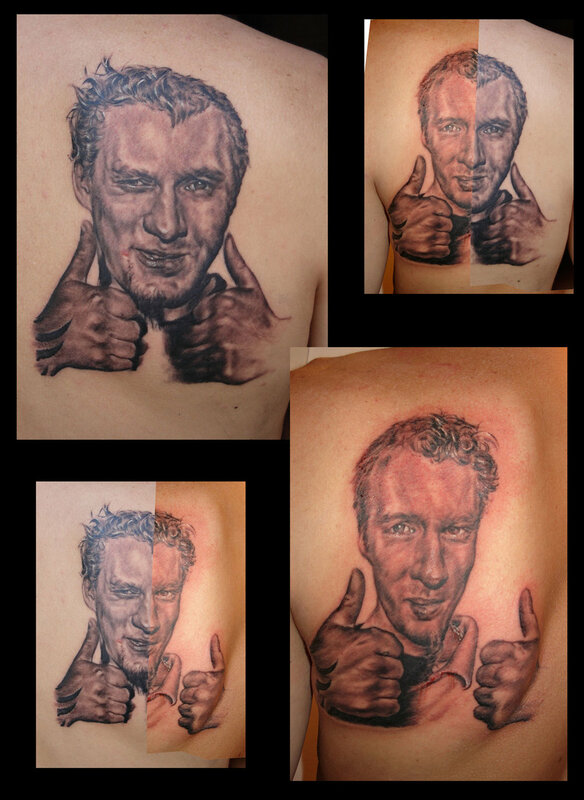 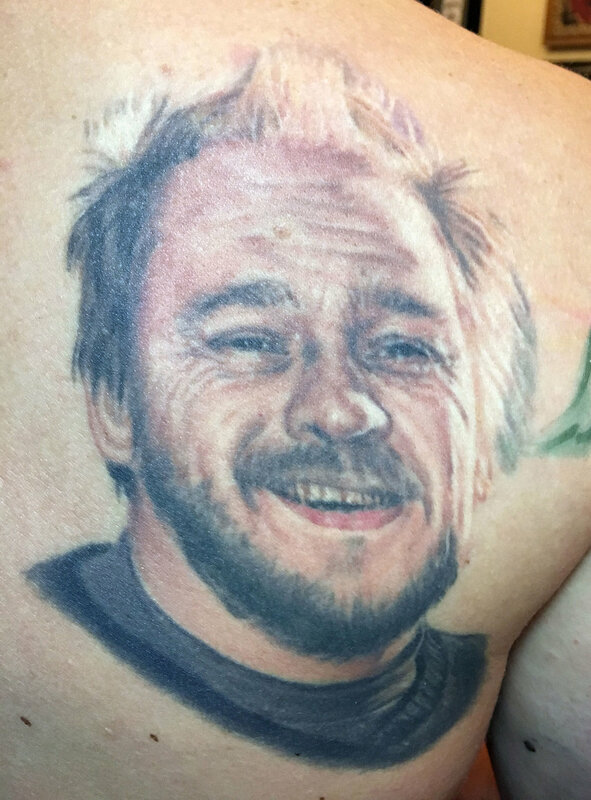 So some of these pictures are successful tattoos, while others I'm afraid, are not. 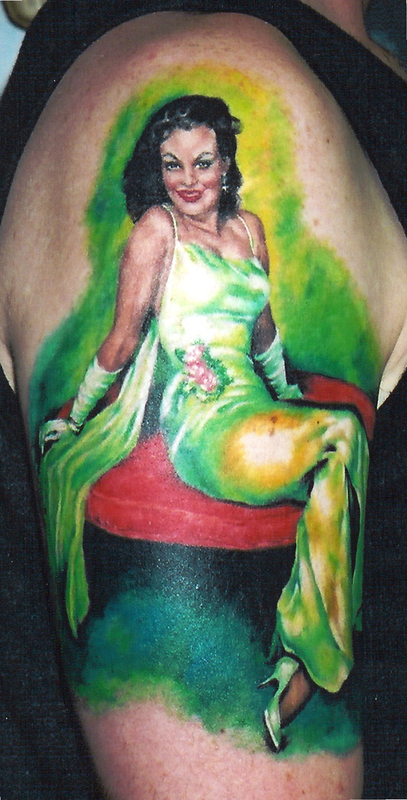 If I do choose to do a color tattoo now, I am much more strategic about how I go about doing it. 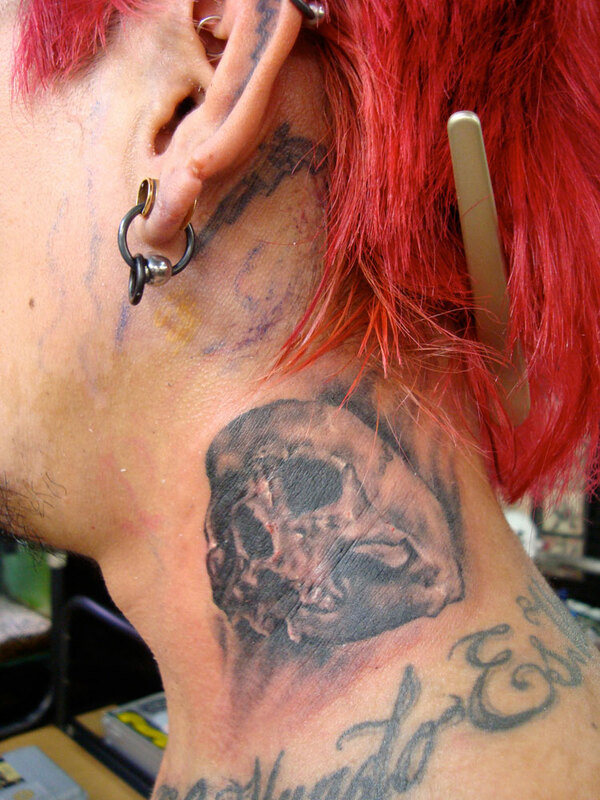 There are many factors to be considered, such as age, sun exposure, location, etc. 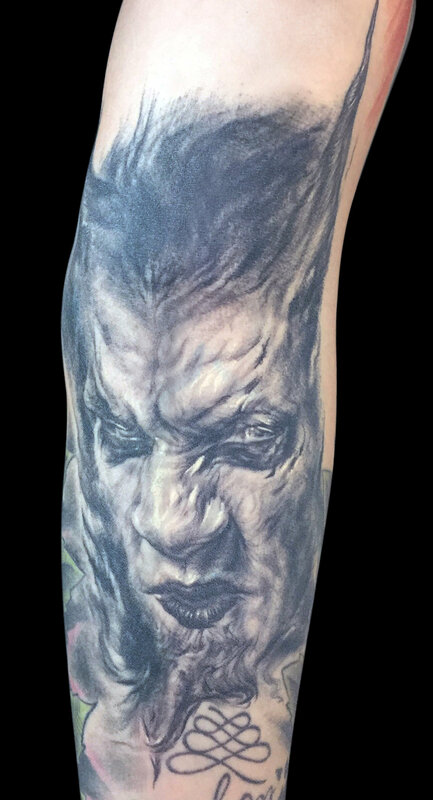 One of the main differences now is that I will not make faces or any other key element too small, using only color with little or no black to hold it. 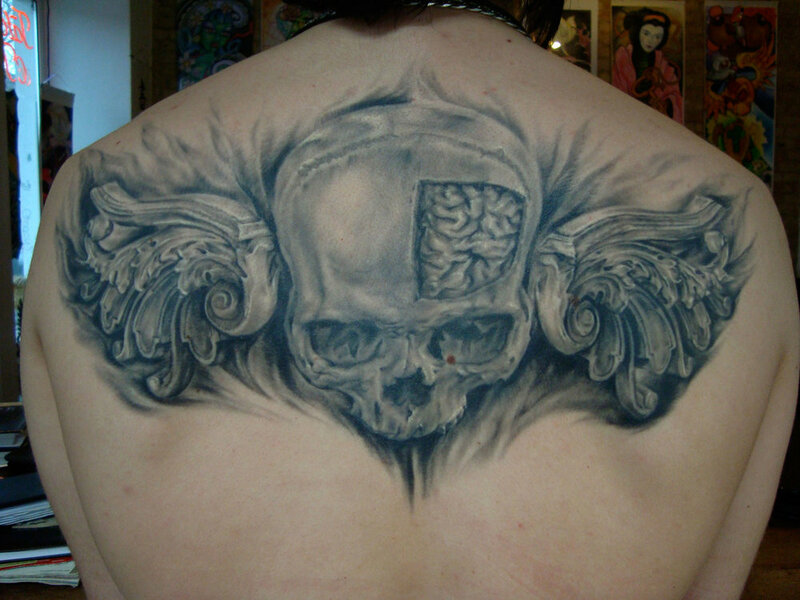 Or use only white or variations of lighter colors to carry the piece. 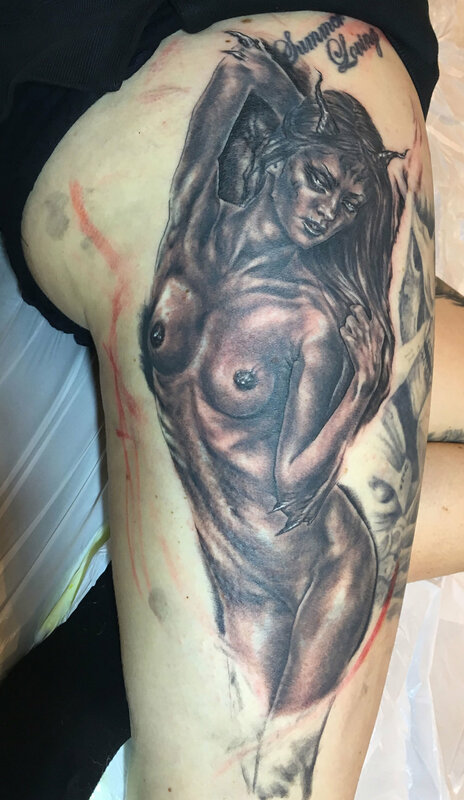 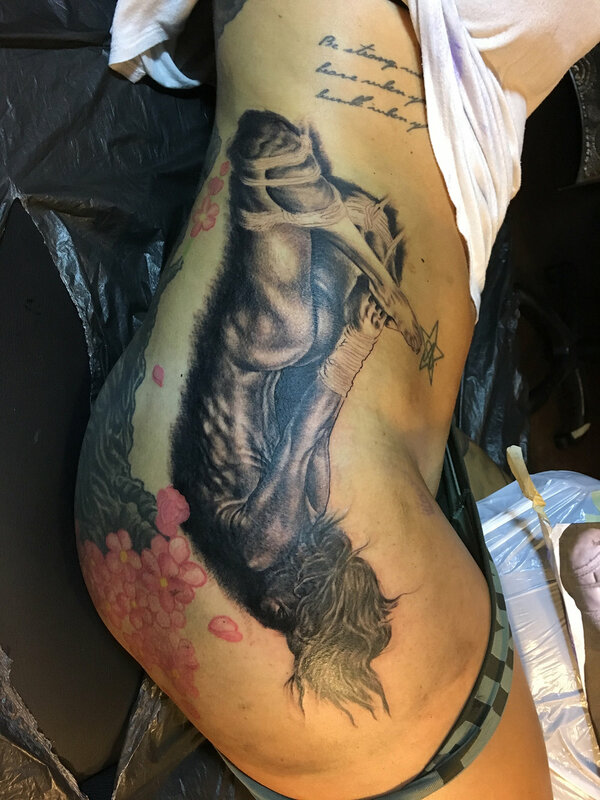 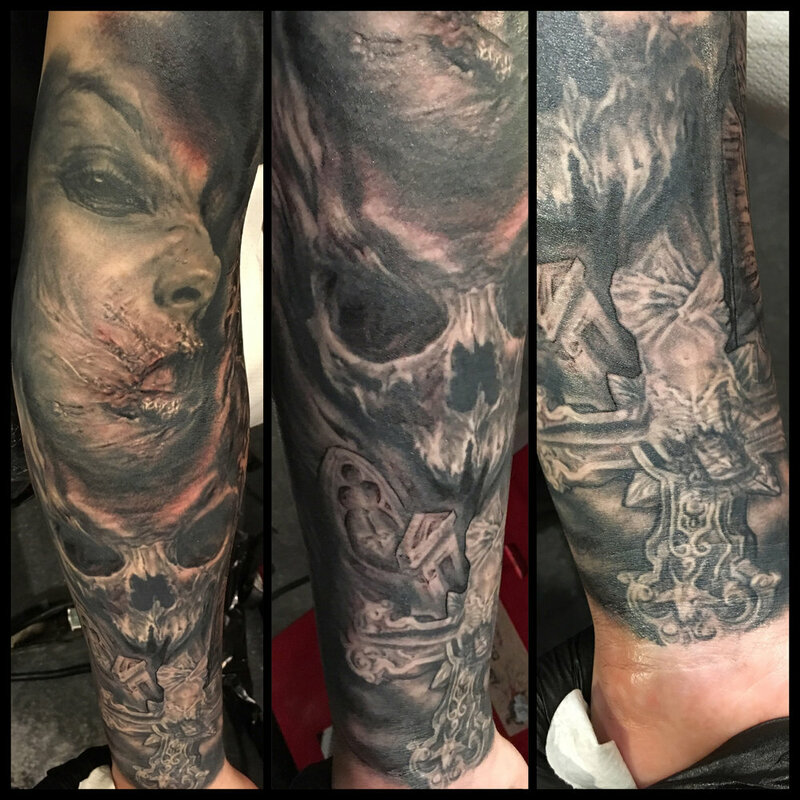 There are many factors involved with tattooing in color that can be unpredictable as to how long the tattoo will stay looking good. 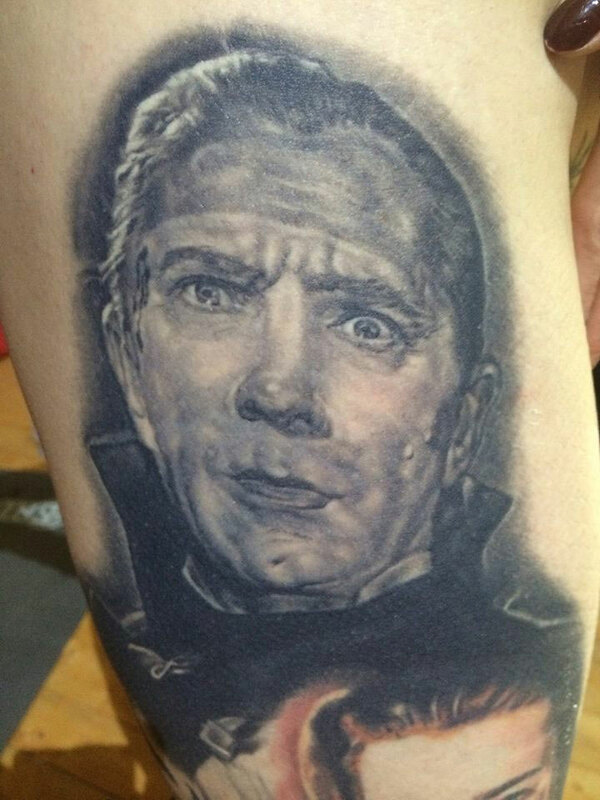 Just because you can, does not necessarily mean that you should. 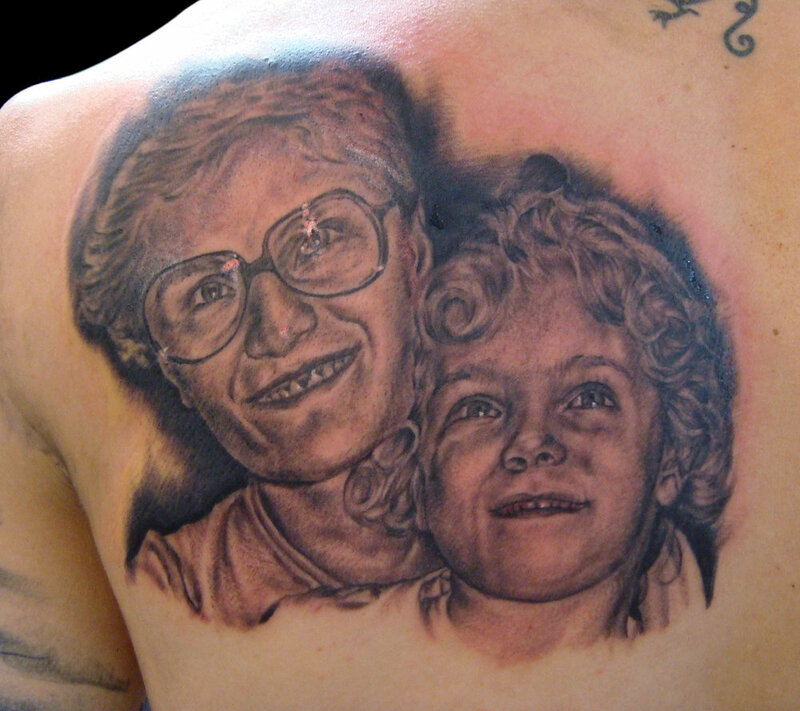 Tattooing is a growth process for all of us, no matter what type of tattooing that we do. 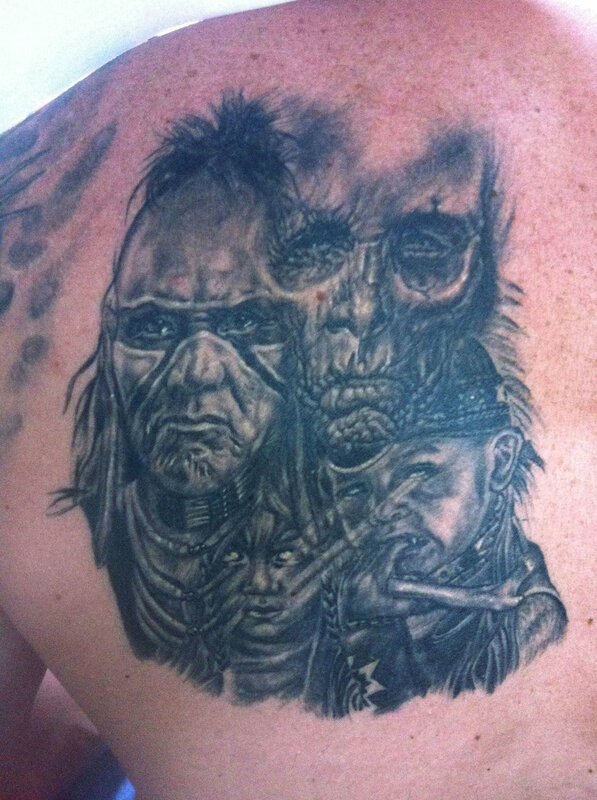 Unfortunately, it is not on a canvas, and there are people who will wear our work throughout all of the stages of our learning experiences. 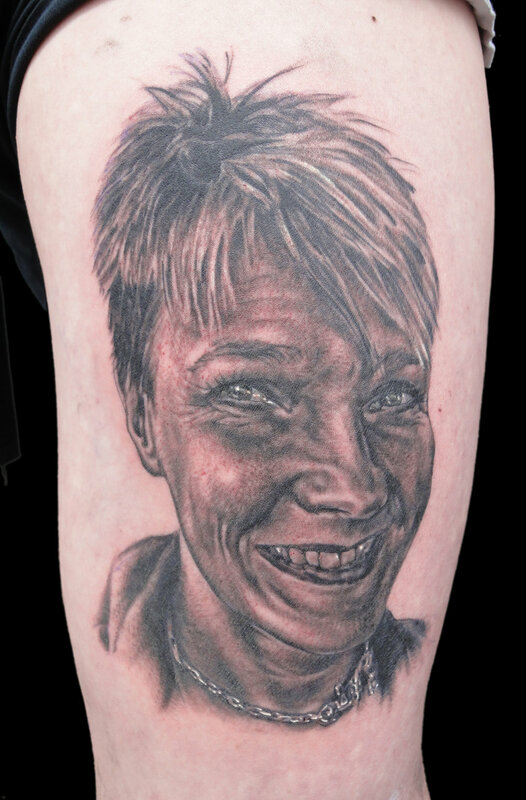 We must be aware that they will carry this work on them for life, and take a strategy into consideration that is compatible within the medium of tattoo and with the person wearing it. 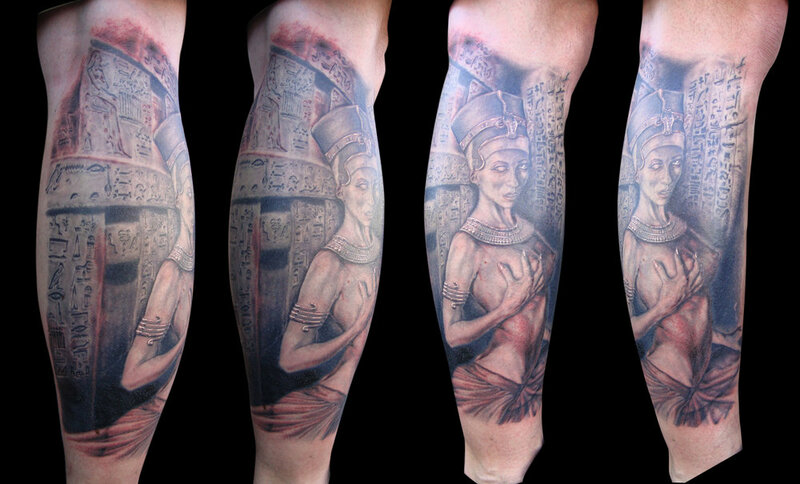 not just within flexing our artistic abilities for a piece that may or may not last for years to come. 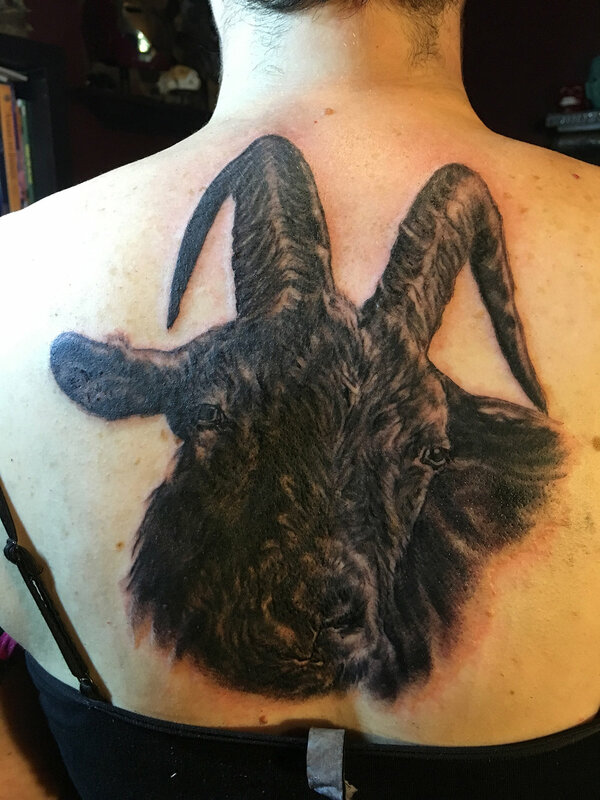 So here I am happy to display pictures throughout the many stages of my personal tattoo journey, and will continue to strive to make the best tattoos that I possibly can. 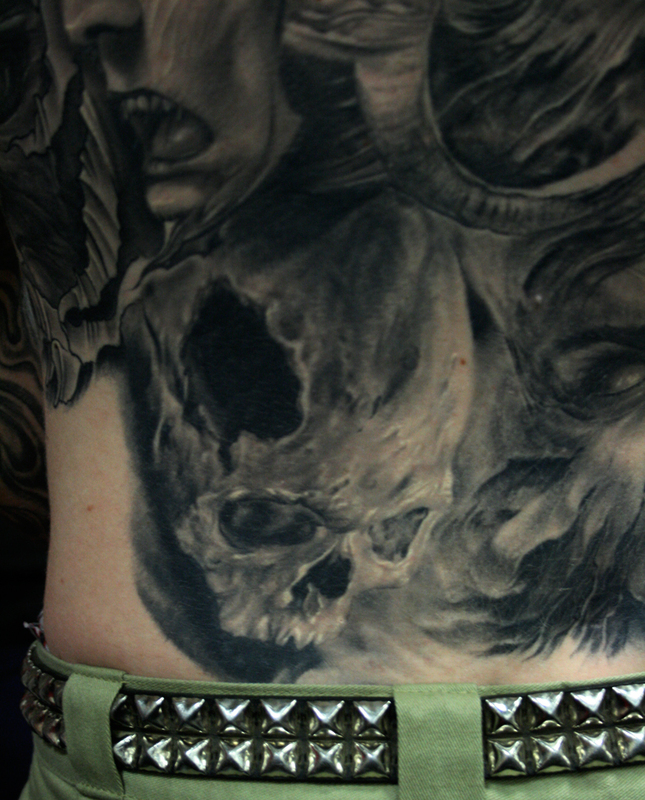 That being said, enjoy the tattoo pics, as I enjoyed tattooing them!